Garden is an important place making you relaxed, comfortable and offering a chance to to stay close the nature. You’re lucky if you already have such a wonderful oasis near the house. 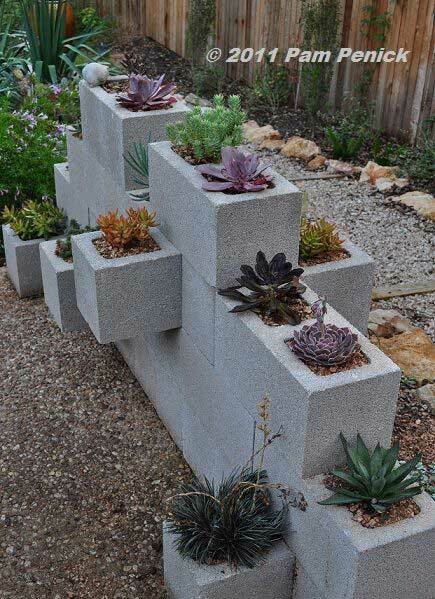 But even if you did not have a large enough space, you still have the opportunity to have an oasis if you get some clever designs. Garden would equal to lawn garden, flowers, small waterfall, water pond, etc. for most people. 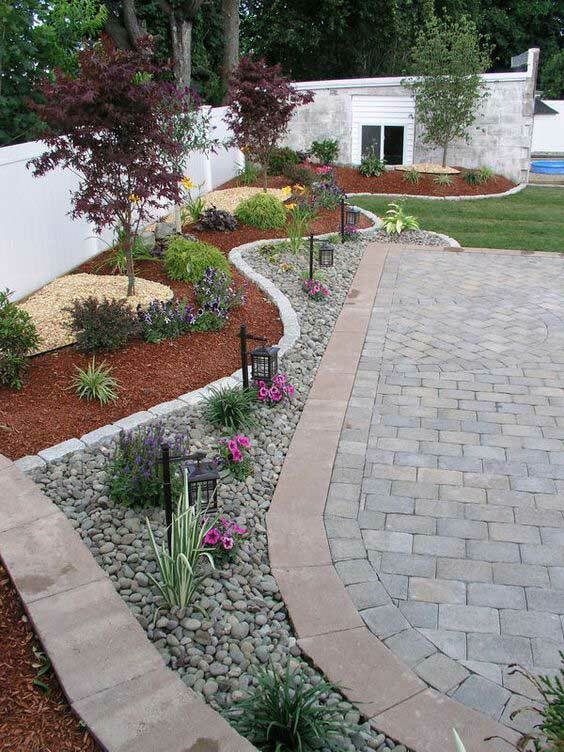 Have to admit that water is crucial and major element in a garden landscaping. However, because of the climate, it is difficult to maintain water views in dry areas. 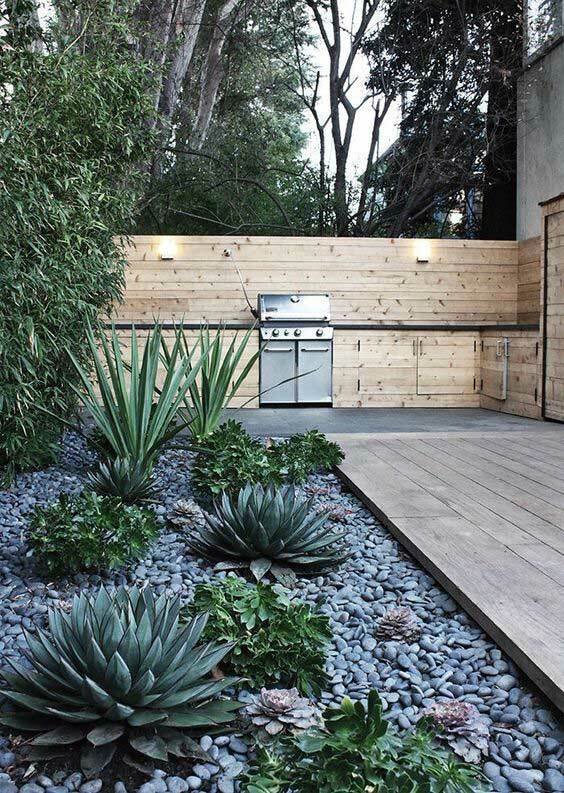 A no water or low-water garden will be a great alternative. No water gardening is easy to build and maintain and becoming popular. 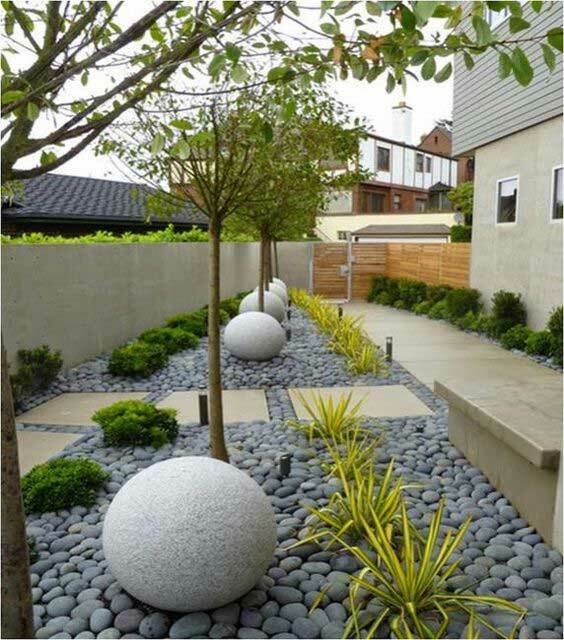 Smart use of rocks can transform your plain garden into a beautiful oasis. 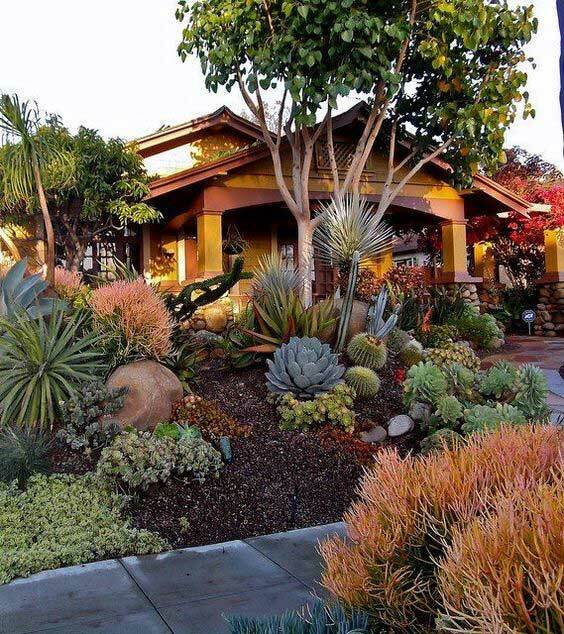 Moreover,appropriate succulents will additionally add bright spots of colors to your garden scenery!